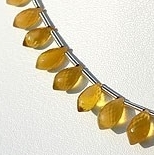 The history of Yellow Opal dates back to ancient times when this stone was believed to be the stone which is blessed with abundance of healing powers. 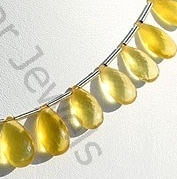 However, if you are person who prefers to wear latest jewelry items and prefers to follow his own rules in dressing himself, than undoubtedly you must be aware about the presence of Yellow Opal Beads. 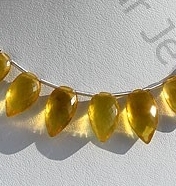 The main reason for this is that Yellow opal is one of the highly liked gemstone for users who prefer to wear latest clothes and jewelry items. 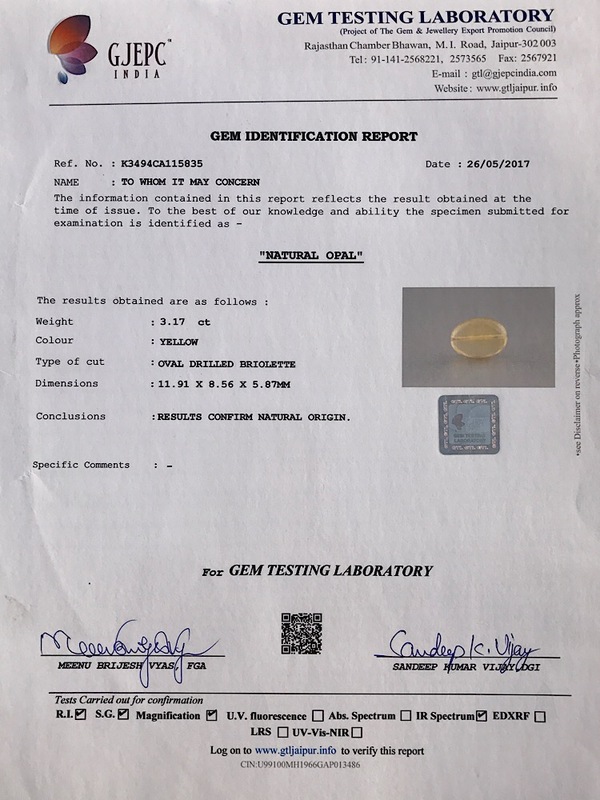 With the hardness ranging between 5.5 and 6.5 the stone is mainly extracted in Australia and is hydrated and amorphous form of silica, with presence of 6% to 10% water present in it. 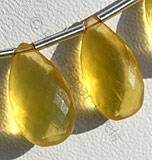 Apart from carrying various properties found niche in other opals Yellow opal is blessed with various other beneficial properties. 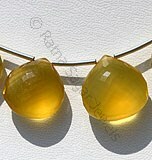 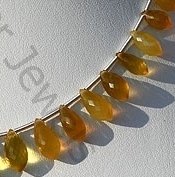 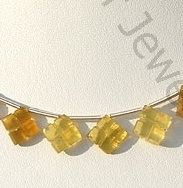 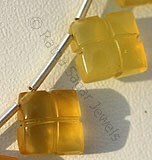 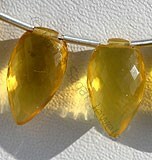 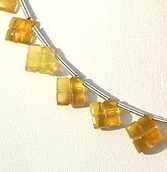 Yellow opal is said to be relishing stone which strengthens emotions and generates positive thoughts. 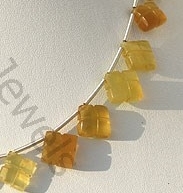 It also enhances creativity of the user. 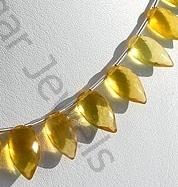 Going through the relevance of this stone Ratna Sagar offers you different types of Yellow Opal varying from Heart Briolette, Flat Pear Briolette, Conch Briolette and clove beads. 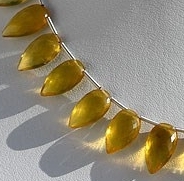 For you amazing love for gemstone beads check the online collection Ratna Sagar Jewels and make your first order with them. 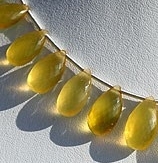 Natural Yellow Opal Gemstone Beads possesses property of Transparent and are available in lemon yellow Color with artistic cut, Conch Briolettes Shape. 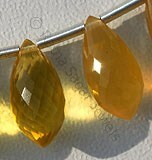 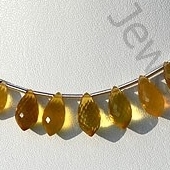 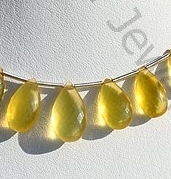 Natural Yellow Opal Gemstone Beads possesses property of Transparent and are available in lemon yellow Color with micro cut, Chandelier Briolettes Shape.